You’re not going to want to miss the Texas Quilt Museum’s latest exhibits that run until September 30, 2018. A Nuestra Senora, La Virgen de Guadalupe. The first collection, titled “Sue Garman: Traditional Masterworks,” features the works of Sue Garman, best known for her website ComeQuilt.com. For four decades, Garman shared her techniques, patterns, and advice with fellow quilters. She won many prizes and her quilts have been published in multiple books. Not only was Garman talented in quilting, but she was gifted in math, working a lifelong career as an executive at NASA. This dedication shows in the detail and precision of her quilts. Even though Garman passed away in 2017, her two daughters remain active on the ComeQuilt.com website. The second collection on display is “Comfort and Glory: Selections from the Briscoe Center’s Winedale Quilt Collection,” which will feature 14 quilts from the Winedale Quilt Collection, a scholarly resource at the Dolph Briscoe Center for American History at the University of Texas at Austin. 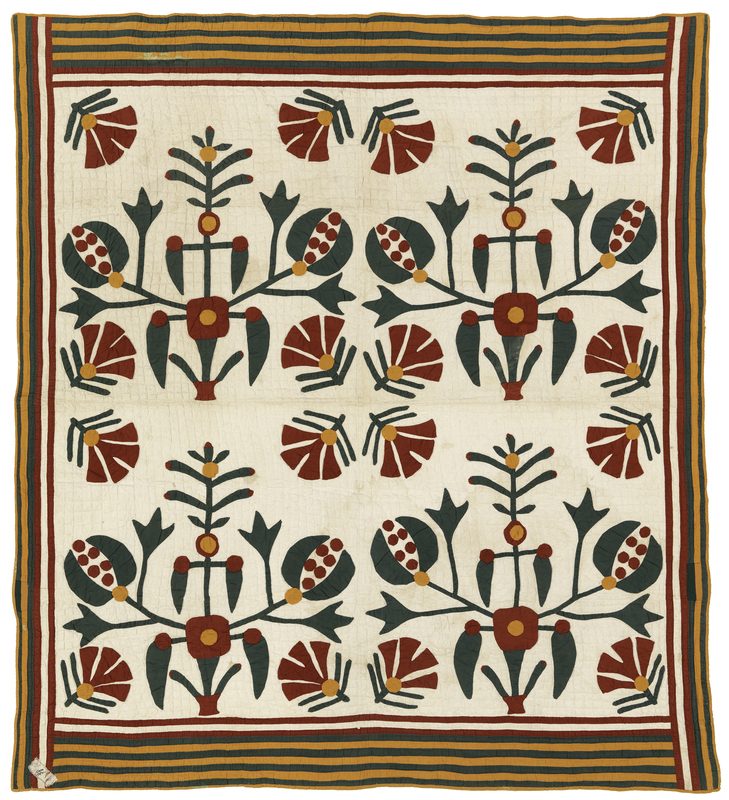 All of these quilts on display along with 100 others will be available for purchase and published in Comfort and Glory: Two Centuries of American Quilts from the Briscoe Center. The Troutman Quilt by Joanne Troutman. 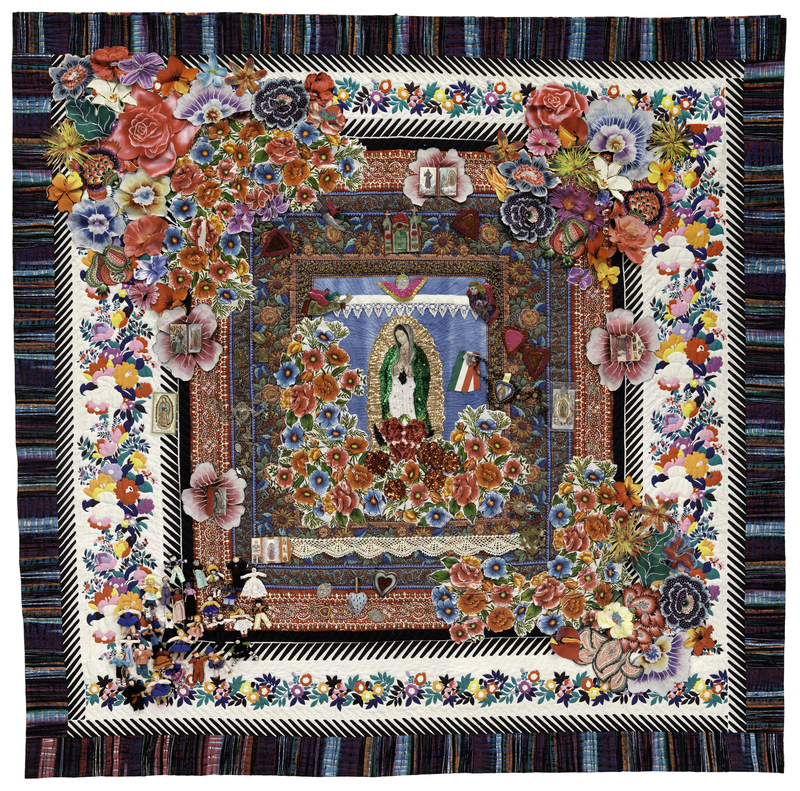 Three superstars that will be on display include the Troutman Quilt by Joanne Troutman that includes improvised red and green appliqué as well as the famous “Betsy Ross of Texas” and “A Nuestra Señora, La Virgen de Guadalupe” by Beth Thomas Kennedy. If you’re going to be in the La Grange, Texas area, you’re not going to want to miss this once-in-a-lifetime collection of some of the world’s most famous quilts. To find out about hours, addresses, and more, please visit texasquiltmuseum.org. *Inspiration for this post came from the Texas Quilt Museum.